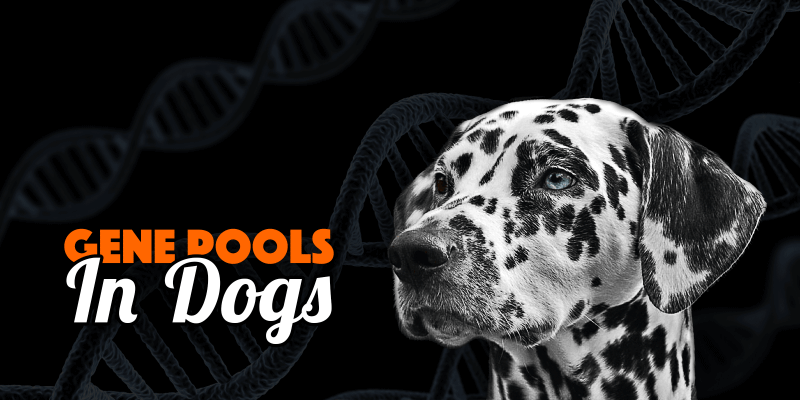 Gene Pool In Dogs — What Is It? Does It Matter? A gene pool is a set of all genes, or genetic information, in any population, usually of a particular species or in our case, the gene pool refers to the group of dogs defined as a purebred dog breed. The gene pool is the collection of all the genes in that population and it can be of any population – frogs in a pond, bacterias in a pint of milk, or purebred dogs belonging to a specific breed. A gene pool isn’t a real place; it’s an abstract idea or an imaginary collection. 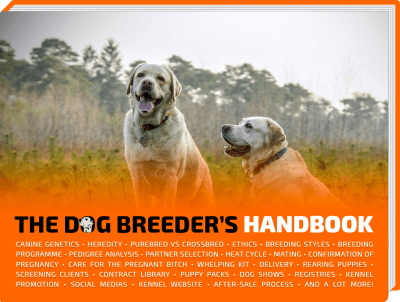 This article is taken from our dog breeding master course that we encourage everybody to follow. A large gene pool indicates extensive genetic diversity which is associated with robust populations that can survive bouts of intense selection. Meanwhile, low genetic diversity can cause reduced biological fitness and an increased chance of extinction (see inbreeding and population bottlenecks). Survival rests partially on a vast gene pool within a particular species. If you take a small gene pool, the genetic diseases will keep on being passed on to offsets if both parents are carriers of the genes responsible for that disease. If you have a small gene pool, you increase the chances of two carriers to mate together therefore add more pups who are carriers of that given genetic disease. On the other hand, if you have a large and diverse gene pool, chances are the carrier will mate with a healthy dog, and repeated several times, this will breed the genetic condition out of this gene pool. Survival and biological fitness rest partially on a vast gene pool within a particular group of dogs. 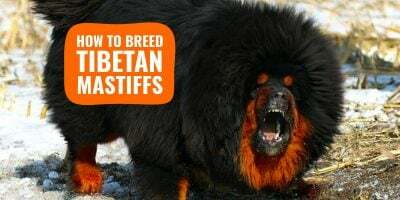 The issue we all face when dealing with purebred dogs is that by definition, we cannot bring new external blood and genetic material from other healthier breeds. We have to breed within our existing breed which inherently limits the possibilities and makes us work with the same genetic material over and over again. If for a decade, breeders of a particular breed have neglected health checks and kept on breeding carriers of a genetic diseases, it will take a very long time in order to breed this genetic condition out, starting by DNA tests to clear each parent and never breed again parents who are carriers of a bad gene. 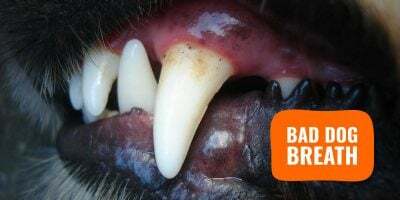 This situation is now critical within some particular dog breeds and has been caused by our own selective breeding and lack of health screening. However, there is another factor coming into play within genetic pools: the genetic drift which also affects how a pool of specimens evolves over time. The genetic drift or Sewall Wright Effect is the change in the frequency of a gene variant (allele) in a population due to randomness and chance events. The alleles in the offspring are a sample of those in the parents, and chance has a role in determining whether a given individual survives and reproduces. We’ve found a visual to help you understand that principle and how it happens in real life. This particular example is one of the process of natural selection which in itself can be rather random. Genetic drift and natural selection. In our days, instead of a cold Alaskan winter, dog show judges are decimating parts of each breed because to them, these dogs do not fit their interpretation of the breed standards. 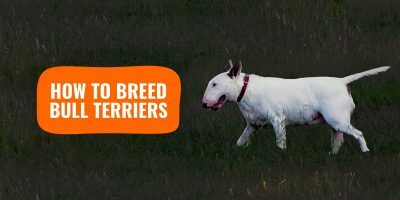 The breeders of these losing dogs being influenced by such decisions will stop breeding these dogs and take a specific direction which will shrink the size of the breed’s gene pool even more. No solution will please everybody involved, be it the animal rights activists, the breeders, or the breed clubs. The short term solution is the screening of each dog you own or breed and clear it from any genetic defect before considering it as a potential breeder. 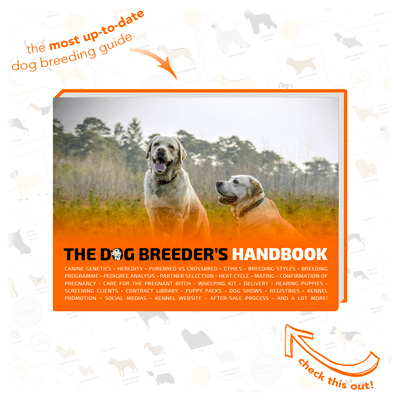 Despite the fact that outstanding breeders do test prospective parent dogs for defective and abnormal genes — and eliminate them from their breeding programme if there are defects — the worrying challenge of defects never stops to expand given that current breeding practices reduce the gene pool even further. 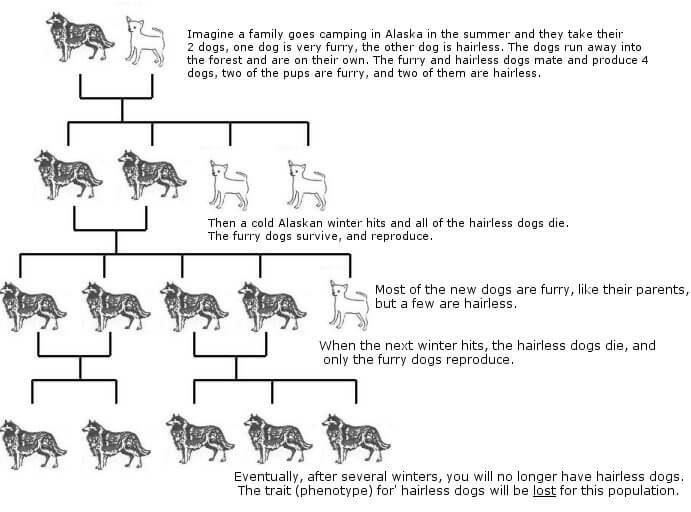 Yes, it is totally possible to better a dog breed while preserving its unique characteristics. Let’s think about the Dalmatian. Hyperuricemia is an excess of uric acid in the blood. Hyperuricemia in Dalmatians (as in all breeds) is inherited, but unlike other breeds, the “normal” gene is not present in the Dalmatian breed’s gene pool. 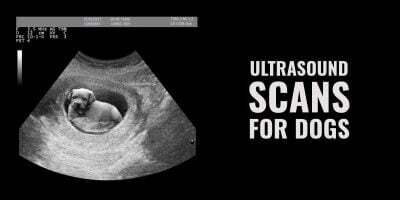 The major challenge here is that the genes accountable for the breed’s popular spotting pattern also lead to increased levels of uric acid in the breed’s urine, predisposing them to the development of urate crystal deposits that routinely result in urinary blockages. Having said that, breeding against uric acid would certainly produce a spotless dalmatian. This is out of question for most kennels clubs and breeders out there. And this is where it becomes interesting. There’s fresh optimism from a research that commenced in 1973, when Robert Schaible, a geneticist at the Indiana University School of Medicine, began the Dalmatian–English Pointer Backcross Project. He coupled an AKC titleholder dalmatian with an English pointer, a dog breed with standard uric acid levels as well as a disposition comparable to that of the dalmatian, and then backbred a dog from that litter to a second dalmatian and so on over several generations. In 2011, after fifteen generations, the AKC authorized dalmatians issued through this much healthier pedigree, spots intact, to officially register. 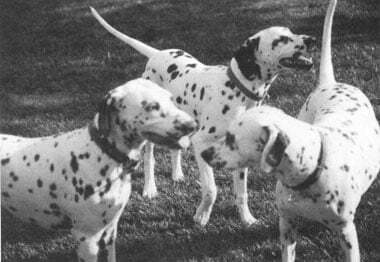 Today, Dr. Schaible’s line produces the only Dalmatians in the world that are completely free of a metabolic defect that can lead to urinary tract problems, and they all have their spotted pattern.